Doctor in Geography and History from the Universitat de València, he is professor there of the Department of Contemporary History. From 1988, he uses the resource of oral sources as a complementary tool for his research studies, which has taken him to teach courses, conferences and workshops on his methodology and application. Also, he has published many works on that matter in specialised journals such as Revista Sociología del Trabajo or El Contemporani and other publications result of his research studies such in the journals Afers, Ebre38 or Quaderns de Sueca. His mots noteworthy publications are: Valencians sota el franquisme. La Xara. Simat, 2002. Autarquia i estraperlo. L’economia en un espai rural del País Valencià durant el franquisme. UV Publications Service. València, 2005. Camp i política. La Falange en una comunitat rural valenciana. Afers. Catarroja, 2005. La repressió franquista al País Valencià. Recull bibliogràfic. 3i4. València, 2008. 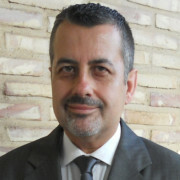 He is tenured university professor of Medieval History of the Faculty of Geography and History in the Universitat de València, where he got his PhD in 1996. Former postdoctoral fellow in the Université Lumière-Lyon 2 (1998-1999) and researcher in the Ramón y Cajal programme (2001-2006). He has been part of groups and research projects of the universities of Lyon 2, Valencia, Barcelona and Autonomous of Barcelona. He has also exercised professional activity as an archaeologist and technician of archives. His research studies have focused on the conquest of the Kingdom of Valencia, the activities of colonisation and organisation of farmed environment, as well as the problem of Muslim population under Christian occupation. He is author of several books and dozens of research articles. He is tenure-track 1 lecturer in the Department of Sociology and Social Anthropology of the Universitat de València, entity where he works since 2006. He holds a diploma in Social Work and has a llicenciatura (former Spanish undergraduate degree) in Sociology from this university. He got his PhD with a doctoral thesis called “El consum recreatiu d’esteroides anabolitzants: una perspectiva sociològica.” He completed his training in qualitative methodology in the “National Development Research Institute” in Nueva York. Since then, he has focused his research task in several interrelated fields, such as sport, social research, sociolinguistics or drug addiction. He has centred great part of his effort specifically in the study of Valencian tradicional sports and the lexicon and use of Valencian language in them. 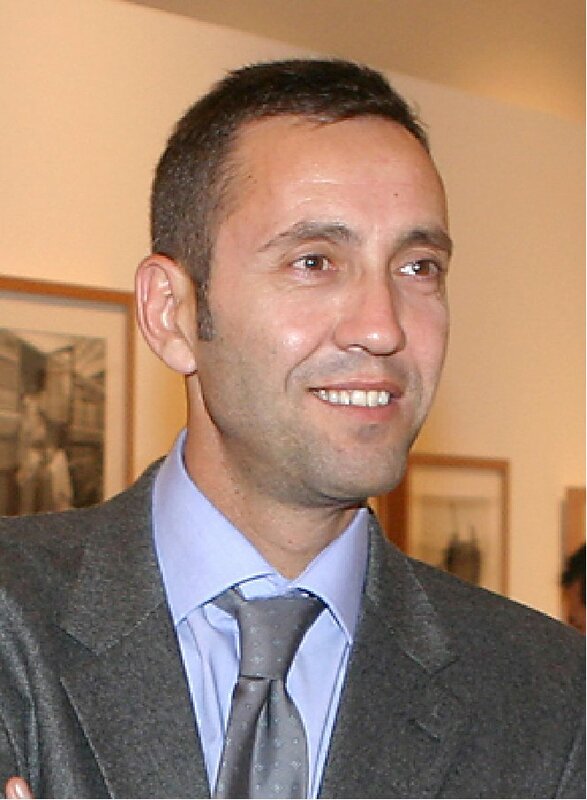 In 2010 he got the award Merits in Sports of the Valencia’s City Hall for the best work of sport dissemination. She is professor of the Universitat de València in the Department of Anthropology of the Faculty of Social Sciences. She is expert in matters of compared public policies and in family sociology (single parenting, compared family policies and family benefit systems). She has been a research member in the Jaume Bofill Foundation and is a founding member of the interuniversity group (GRC) “Copolis. Bienestar, Comunidad y Control Social”, of which she is the coordinator of the Territorial Unit of Continuous Studies in the Valencian Country. She has also carried out researchers on the family, labour, social situation of the workers in the textile industry in Alcoi, which is, among other issues, one of the key topics of her doctoral thesis. Also, she works as director for the Centre Ovidi Montllor in Alcoi. She is tenured university professor in the Department of Mercantile Law of the Universitat de València. Her function as a researcher focuses on cooperative social economy and the new technologies. In this sense, she has participated in sixteen research projects, supported by public and private institutions. She currently participates in a project on E-Fraude and banking communications in the European Union: procedural and substantive aspects and social economy in public policies. Perspective of economic policy. Also, she works on the impact of Internet in the governing of societies, by analysing the advantages the new XML language offers to the legal field. On the other hand, she studies the civil responsibility of the auditors in the exercise of their professional activity regarding society and third parties. The creation of business network through the creation of services or secondary cooperatives. Finally, she studies food advertising and develops the application of the Personal Data Protection Act in within Spanish firms. As a professor he teaches in different subjects of undergraduate and master’s degrees of the Faculties of Law and Economics at the Universitat de València. 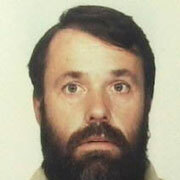 He is full university professor of the Faculty of Geography and History at the Universitat de València. He is doctor in Prehistory and Archaeology from the University of Zaragoza with the doctoral thesis “Contribución al estudio de la arquitectura romana en hispania: el foro de Bilbilis (Calatayud, Zaragoza).” Apart from his teaching labour at the university, his research task is focused on the study of Roman archaeology and the archaeological heritage. We can stand out his research on Roman villas based on his great knowledge on Roman architecture in general, including the domestic environment (for example, he has carried out researches on the particular site of l’Horta Vella, one of the few examples of Roman rural complex that persists in the Visigoth Period). Also, his excavations in the Roman villa of the House of Mithra in Cabra (Córdoba) gain particular importance, as well as his works on sites in Sagunto, Bétera and el Castellet de Turís. 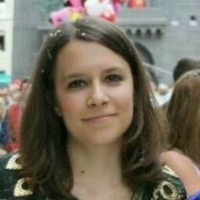 She is doctor in Geography and History from the Universitat de València and tenured university professor in Historiographical Sciences and Techniques at that university. 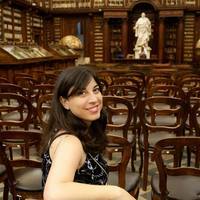 She has taken part in different financed research projects, where she has essentially developed two related research lines: the study of the documents of the private field in the medieval and modern period and the edition of texts belonging to that chronological period. The result of this research work are publications as “La configuración de la identidad privada. Diarios y libros de memorias en la Baja Edad Media” as well as the edition of different memoirs such as “Llibre de Miquel Ferrer, palmiter (1612-1634)”, published in 2008 or “Dietary de Gaspar Gasset, paraire”, published in 2011. Likewise, together with professor Francisco Gimeno Blay, she has proceeded since 2002 to the edition of the collection of latin sermons of Saint Vicente Ferrer, currently conserved in the Archive of the Real Colegio Seminario del Corpus Christi Valencia (2002), the Convento del Domenicani de Perugia (2006) and the Couvent des Cordeliers of Fribourg (2009), to which the publication of the manuscript conserved in the Municipal Library of Avignon will be soon added. She is doctor in Geography and History from the Universitat de València (Department of Art History, 2003); lienciatura extraordinary prize in 1997; Merit Award in 1998 and doctoral extraordinary award (2005). She is professor doctor of the Department of Art History in the University of Valencia; she is professor in the Undergraduate Degree in History of Art, as well as in the Master’s Degree in Cultural Heritage and in the Master’s Degree in History of Art and Visual Culture. Nowadays, she is Dean of the Faculty of Geography and History of the Universitat de València, where she also held the position of Vice-Dean of Exchange and Mobility Programmes. His research line is focused in the contemporary Spanish painting, art critic and museology, specifically of the 19th and 20th centuries. 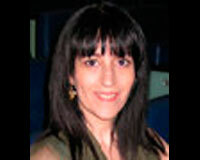 Those are the topics of her scientific publications (articles, books and conferences), derived from her participation in several research projects associated to the Universitat de València, as well as her research stays in la Sorbonne (Paris I-Centre Ledoux), Università Federico II di Napoli, Università degli studi di Palermo, Institute of History of CSIC. Since 2001 she develops a research line that focuses on the study and promotion of the Valencian heritage in the framework of the research projects promoted by the Faculty of Geography and History. Also, she has directed and participated in different R&D projects, in Educational Innovation projects and she has coordinated and bee curator of several exhibitions related to history of art and cultural heritage. 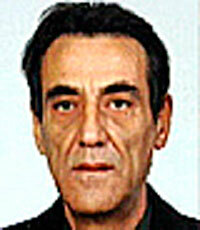 He is professor of History of Art of the Universitat de València. He is part of the 2012 winning team of the international competition for carrying out the Musée National d’Art Moderne et Contemporain (MAMA) de Argel. He has given conferences and courses in the Universitat de València, the Universitat Jaume I de Castellón, in the Sorbonne, in Heidelberg, in Genoa, in Naples, in Palermo, in Cuernavaca and in Mexico City, in La Habana, in Buenos Aires, in Nador and in Rio de Janeiro. He is author of sixteen books on different aspects of Spanish History of Art. Also, he has organised many exhibitions on historical and current art in the Museu de Belles Arts de València, in the Ateneu Mercantil de València, in the Centre del Carme, in the Museo de Arte Moderno de Santo Domingo, in the Centro para el Desarrollo de las Artes Visuales in La Habana and in the IVAM. He is doctor in History from the University of Cantabria (1996), his doctoral thesis is about the study of the prehistoric settlement in the valleys of western Cantabria. When receiving his degree of doctor he moved to the University of California, Berkeley where, awarded with a grant by the Marcelino Botín Foundation, he carried out a four-year stay in the Department of Anthropology and in the Archaeological Research Facility with professor Margaret Conkey, until that in 2000 he won one of the places of the programme of Reintegration for Doctors and Technologists abroad. Since then he carries out his research activity in the Department of Prehistory and Archaeology of the Universitat de València. His main research lines are: landscape archaeology, the cultural contact between the last hunters-gatherers communities and the first farming communities both in the Cantabrial field and in the Mediterranean, and the application of New Technologies in the study of heritage, in which the development of the SIDGEIPA Archaeological Information System stands out. She holds the licenciatura qualification in History and is a researchers in the Department of History of Antiquity and Written Culture of the Faculty of Geography and History of the Uniersitat de València. She belongs to the CiSEM research group (Middle Age Cultures and Societies) of this university directed by the full-university professor Antoni Furió. We stand out her research work in the way of publication “Centusa y expurgo en los uncunables de la Biblioteca Histórica de la Universidad de Valencia” of 2014. Department of Art History. He combines teaching with the direction of the Museu Comarcal de l’Horta Sud. He holds a Postgraduate Study in Historical and Artistic Heritage Conservation (1994) and is doctor in History of Art (2010). He has focused his research labour in rural architecture and in industrial heritage, specially on the material evidences left by industrialisation by rural landscapes as a consequence of the adoption of a capitalist agriculture oriented to market, putting special attention to the groves of orange trees and the cellars. 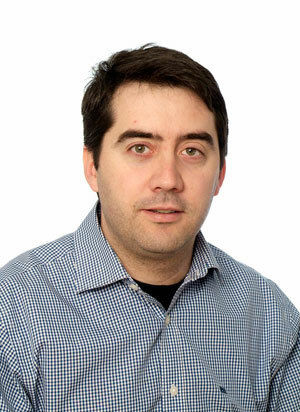 He has worked in several agreements and assignments for the public administration and private firms. He has collaborated in the inventories of ethnologic and industrial heritage of the Valencian Community during almost ten years, under the direction of Dr Inmaculada Aguilar. He has carried out reports on the ethnologic and industrial heritage in different public works. He has been part of the writers team of master plans for different monuments, land-use planning and territorial action plans. She is tenure track 1 lecturer in the Department of History of Art of the Faculty of Geography and History of the Universitat de València. She got her PhD from this university with the doctoral thesis titled “París y los pintores valencianos (1880-1914)” in 2007. Since then she has developed a productive research career where we can stand out publications such as “Arquitectura de obras públicas, estaciones y espacios recreativos” or “La Eliana: urbanismo histórico y arquitectura.” As a professor, she teaches in the Degree in History of Art and in the University Master’s Degree in Cultural Heritage: Identification, Analysis and Management in the Universitat de València.